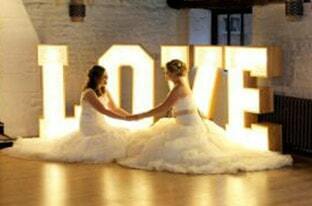 Mobile Disco Hire Birmingham can provide wedding DJs and many other services for your local disco hire Birmingham. 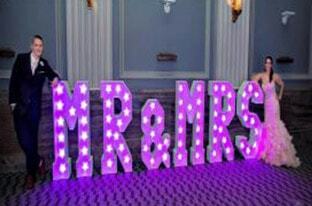 These are a must for a wedding event and ideal backdrop for photographs. 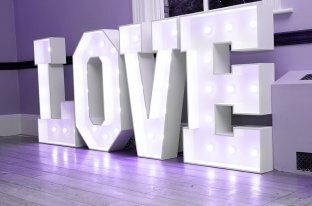 They are 4ft tall, and in pure white, Bulbs can be set to most colours to suit your theme. 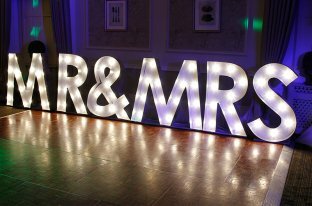 Mobile Disco Hire Birmingham as been in business for over 20 years and we have added many different services over the years. This works out to our advantage, as you only need to hire one company for all your products instead of 3 or 4.